Launch marks significant Wall Street acceptance of Bitcoin and other cryptocurrencies. Cryptocurrencies such as Bitcoin have received major backing from one of the world's biggest banking giants after reports emerged that Goldman Sachs is planning to set up a trading desk to do business with digital currencies. According to Bloomberg, the bank has given itself until June to prepare everything and get the business running, with security and asset holding among the major issues to be considered. It is currently forming a team in New York, and once it starts trading, it will be the first large Wall Street firm to actually do that. It still hasn’t come to a decision as to where it will house the desk, but it is being speculated that it could operate “within the fixed-income, currencies and commodities unit’s systematic trading functions”. 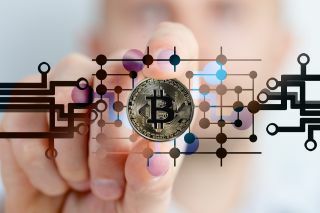 “In response to client interest in digital currencies, we are exploring how best to serve them,” Michael DuVally, a spokesman, said in a statement. And at the same time, the majority of cryptocurrencies have lost quite a lot of value. Bitcoin, which hit $20,000 mid-December, has fallen to $13,000 just a week later, with some analysts thinking it might gp down even further to $11,000. Ether, the second-largest cryptocurrency, has lost around $200 in value, dropping from an all-time high of $880 down to $680, also within a week.